meats and everything that had to do with the meats. 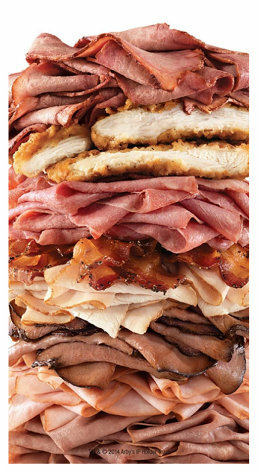 The OG sauce art for Arby's. Mount Saucemore got some props. ​all the meats together and charged $10 for it. will never see the light of day. Here are some posts that did see the light of day. come up with visuals—usually while very, very hungry.